With the release of Windows Server 2016, many organizations are mulling an upgrade from their incumbent version. Such decisions are rarely simple, and there are several factors to consider. 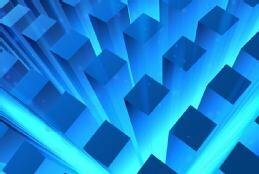 Admins should weigh how Windows Server 2016 new features -- which include Nano Server and new software-defined storage capabilities -- could benefit the organization. Application compatibility with the new server and the cost of an upgrade will be of utmost concern. What are some of the Windows Server 2016 benefits? Like any other OS release, there is a vast array of Windows Server 2016 new features bundled together. Containers are one splashy feature introduced in Windows Server 2016. Windows Server containers -- and Hyper-V containers -- are based on Docker and provide similar capabilities to those that have long been used in the open source world. They provide a method to deploy and run distributed applications without launching an entire VM. Nano Server, a new server deployment type, is another one of the Windows Server 2016 new features. Several years ago, Microsoft introduced the concept of server core deployments of Windows Server. Server core deployments omitted most of the GUI capabilities, which resulted in a smaller OS footprint. Running Windows Server in this way creates some advantages, such as a smaller attack surface and potentially higher VM densities. Nano Server deployments and server core deployments both consist of stripped-down versions of the Windows OS. However, Nano Servers are far smaller than even server core. In fact, a Nano Server deployment is about 20 times smaller than a Windows Server 2016 deployment that includes the Desktop Experience feature. These features have plenty of benefits, but keep in mind that admins will usually need to deploy new servers to take advantage of them. Microsoft also added software-defined storage capabilities: storage replicas and Storage Spaces Direct. Storage Spaces Direct allows clustered Windows Servers to use local storage rather than a centrally located Cluster Shared Volume and has a similar topology to hyper-converged systems. There are several other Windows Server 2016 new features, many of which focus on security and virtualization. These features have plenty of benefits, but keep in mind that admins will usually need to deploy new servers to take advantage of them. For example, it would be a violation of established best practices to install Docker onto an existing application server. Containers are best suited to dedicated servers. As an organization considers an upgrade to Windows Server 2016, application compatibility must be top of mind. It isn't enough to simply verify that an application works on Windows Server 2016. Ideally, IT pros should confirm that vendors support their applications on the new OS. While some applications will likely run without issue, others may need to be patched or upgraded. Still other applications may have to remain on the existing OS version or be replaced with a competing application that is designed to work with Windows Server 2016. Upgrade cost is another important consideration. Licensing will likely be the largest upgrade-related expense, but there may be other costs. Some common costs during a server OS upgrade include any necessary hardware improvements, labor costs as IT prepares for and works through the upgrade, and any required application version upgrades. Once an organization decides to move forward with a server OS upgrade, the IT staff must consider the general approach it will take during the upgrade process. Any OS upgrade can have unanticipated problems. Be as prepared as possible and set some time aside to test the upgrade process in a lab environment. Meanwhile, establish a pilot deployment program. These pilots typically involve performing upgrades in small batches, starting with the less critical servers. Wait at least a couple of weeks before upgrading the next batch of servers. This gives any hidden problems time to manifest themselves before the next batch of upgrades. If an organization decides to move forward with an upgrade, the IT staff needs to establish an upgrade timeline. Take into account the time needed to verify application compatibility and upgrade tests, but also keep in mind OS supportability. Microsoft has a predetermined lifespan for each of its OSes, which establishes how long an OS will be supported. Windows Server 2003 has already reached its end of life. Windows Server 2008 reached the end of its mainstream support in 2015 and is currently in extended support. Windows Server 2012 is scheduled to reach the end of its mainstream support period in 2018. Regardless of which OS an organization presently uses, the upgrade timeline should be tailored to meet the organization's support requirements. What do you think of the new features in Windows Server 2016?